Finding it hard to pin down your love for long enough to pop the question? Well, the Bucket List Genie has found the perfect solution. Steal him / her away from the crowds for 24 minutes to enjoy a private proposal helicopter flight. During the flight, you will take in the beauty of the Atlantic Seaboard, flying all the way to Hout Bay to Chapman’s Peak, crossing over to False Bay, along Noordhoek and Sun Valley. Still struggling to sum up the courage? No problem! You’ll still take a turn over Groot Constantia. Table Mountain, and the City Bowl before returning to the helipads at Cape Town V&A Waterfront. Being proposed to mid-air must be one of the most exhilarating experiences and unforgettable for sure! On landing, you will have an opportunity to enjoy a glass of bubbles to celebrate the impending nuptials. 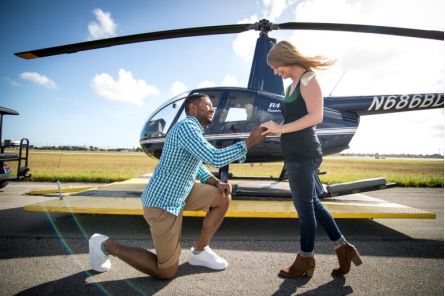 Book this private proposal helicopter experience right now! 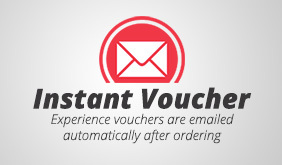 This experience is for two persons only. All flights are weather dependent and will be rebooked if winds are too high for flying. A complimentary glass of sparkling wine will be enjoyed on landing. Roses can be arranged on request for an extra charge.